Battle Arena—the largest e-sports club in the Southeast Asia region—launched last weekend at their 17,000 square foot premises in Jaya Shopping Centre, Petaling Jaya. The facility is equipped with 114 high-end gaming PCs, dedicated streamer booths, VIP rooms for professional teams to practice and strategise, and a grand centre stage to host world class e-sports events. The aim of Battle Arena is to promote and nurture the growing local e-sports scene, and help aspiring individuals pursue a career in e-sports, be it as a professional gamer, caster, or streamer. It’s been just over a week since the grand finals of ESL One Genting took place up in the chilly tourist city, where 16 Dota 2 teams from around the world competed for a prize pool of US$400k and precious pro circuit points. 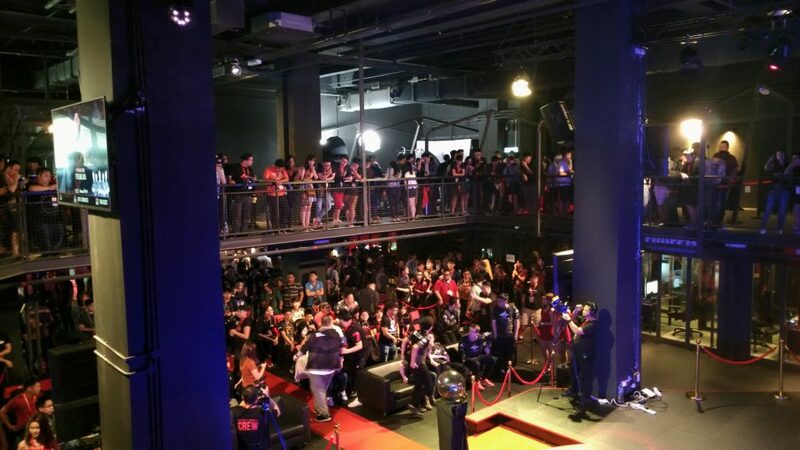 An estimated 2.6 million unique viewers tuned in to the event to see Chinese favourites Newbee bag the grand final win against current TI champions Team Liquid, and the event signaled yet another milestone for the rapidly growing e-sports scene in Malaysia. Building on the rising popularity of the e-sports scene, Battle Arena—a new gaming centre claiming to be the largest e-sports club in the Southeast Asia region—launched last Saturday in Jaya Shopping Centre. Spanning 17,000 square feet, Battle Arena is a sprawling complex that resembles every gamers’ dream. The state-of-the-art premises comes with facilities and equipment specifically tailored to the needs of aspiring cyber athletes and video game streamers. 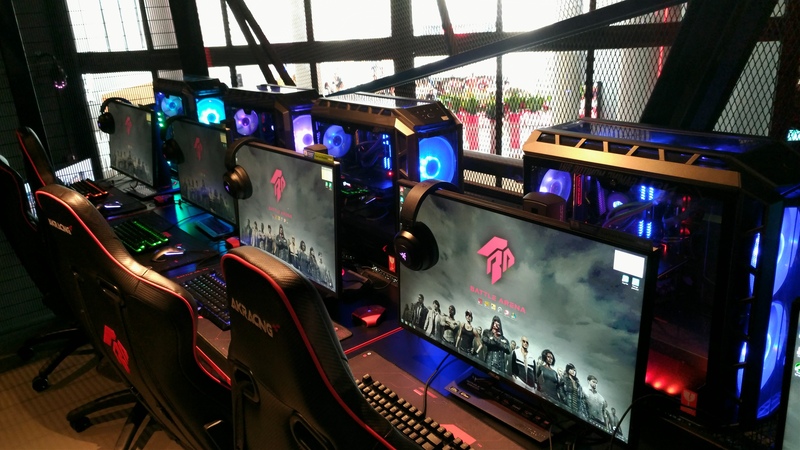 Some of the stand-out features include no less than 114 high-end gaming PCs, dedicated booths for streamers, and VIP rooms for professional teams to strategise and practice. The pièce de résistance however, is a futuristic centre stage that transforms into an e-sports arena during competitions, and comes complete with its own casting and commentary booth. This is a stage that Battle Arena hopes will host many world-class e-sports tournaments in the future. 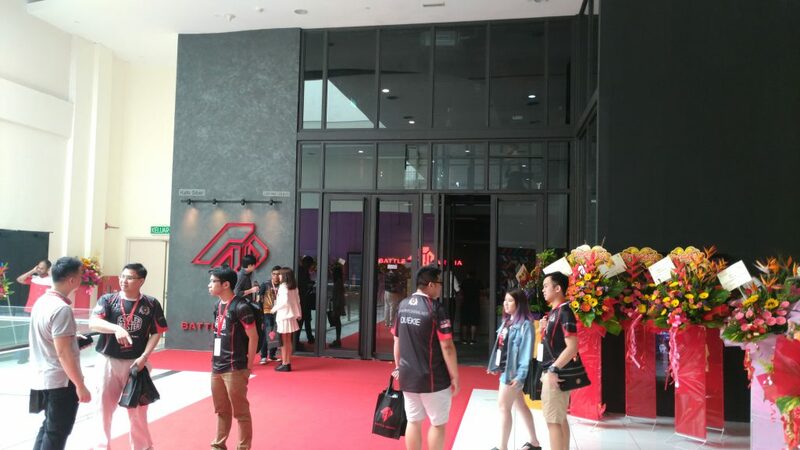 At its grand opening, Battle Arena hosted many popular gaming personalities, both local and foreign. Among some of the star attendees were European Dota 2 powerhouse Team Secret, decorated Malaysian player Wong Hock Chuan, and internationally acclaimed e-sports caster Andrew “Zyori” Campbell. In the true community spirit of e-sports, there were showmatches for popular titles such as Dota 2 and PlayerUnknown’s Battlegrounds (PUBG) that joined both professional players and casual gamers alike in a series of fun matches where participants had opportunities to win cash prizes and other gaming goodies. Battle Arena’s goals sync with our government’s plans to grow the scene in Malaysia. With the hopes of helping Malaysia turn into a globally recognised e-sports hub, Battle Arena aims to nurture and grow gaming talent locally by providing individuals with the resources necessary for them to develop their skills, and also promote gaming as a viable career path of the future. 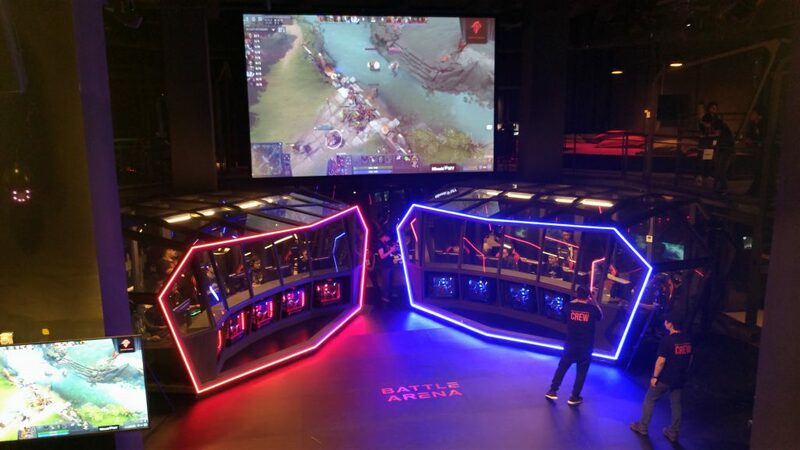 “We aim to come up with new ways to change the way people view e-sports, bring about more publicity and awareness about e-sports and the fact that playing computer games can be a legit career path,” said Jian Hong, Business Development Manager of Battle Arena. In a press release, Battle Arena stated that, “as the industry develops, career options have increased considerably over the years”, with potential pathways to creating income via streaming, casting, or playing games competitively becoming much more accessible in recent times. And as it stands, the global e-sports industry is set to be worth US$1 billion in 2018, and on track to reach a combined revenue of US$2.3 billion by the year 2022, with money coming from advertising, marketing, and tournament views. This trend signals a shift in what consumers around the globe now value as entertainment, and with interest in the e-sports escalating to unprecedented levels. Just last December, the Majlis Sukan Negara announced a special unit specifically created to foster and promote the growth of e-sports nationwide. According to Youth and Sports Minister Khairy Jamaluddin, this move was in anticipation of the upcoming 2022 Asian Games, where e-sports will feature as a proper event. “This is the reality and we cannot be left behind. The Olympic Council of Asia (OCA) has recognised e-sports as a sport for the 2022 Asian Games and we must get going,” he said in a press conference. The landscape of the sports entertainment industry is constantly evolving. 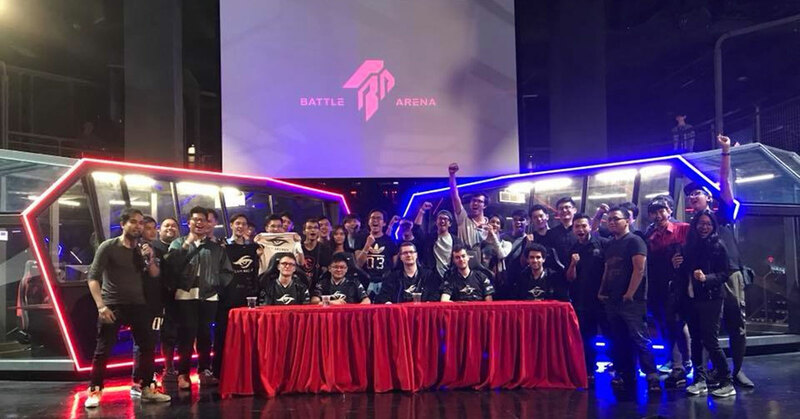 With e-sports quickly emerging as a scene garnering plenty of interest from all corners, it might seem as if Battle Arena has made an astute move in launching an enterprise that might not have been successful in times before now. Whether the concept is viable or not in the long run is a different story, but it will be very interesting to see how such initiatives locally will run in tandem with what could very well be the next big thing in sporting entertainment. If you’re interested to know more about Battle Arena, check out their website and Facebook page.